Is this the beginning of the end for Mahendra Singh Dhoni? When India won the WC in 1983, everyone went ga-ga over the then captain Kapil Dev, however little do people remember, he was fired from captaincy in less than a year times. India was marauded by the West Indies and Kapil was abruptly terminated from the top job. 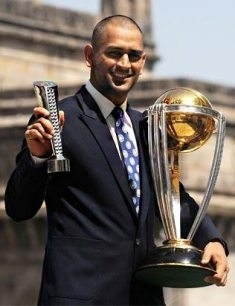 Fast forward to 2011, India’ s favorite son M S Dhoni helped India lift the WC after 28 years and months later he’s faced with the biggest crisis of his captaincy career, he has lost his first Test series as a captain, India has be dethroned from the No.1 slot, most of his team mates are out with injuries and a set of legends are on the verge of retirement. M S Dhoni is staring down the barrel. However, one has to remember a captain is as good as his team. Prime example is Ricky Ponting, he was a nothing captain once his top men retired. Moreover, in this particular series batsmen has collectively failed and that doesn’t help the cause. No captain can do anything if 4 of his top 5 batsmen aren’t scoring runs. Just drifting a little from the main subject, there’s needless talk about IPL, CL and ODI overkill. Just by loosing one serious entire system doesn’t fail. And few nuts have to realize that we were No.1 in Tests for more than an year, plus we won the WC. Public just needs to take a chill pill and accept the fact that Cricket is a sport and there will be times when the team will be miserable. Going back to MSD, he’s by the far the best captain India ever had simply because he successfully utilized the potential of many bits n pieces players. Unlike Saurav, MSD has a team of ageing superstars ( who are still the best in the business ) and a mix of unpredictable young talent. Winning and winning continuously has been his hallmark and it’s ridiculous for people to compare him with Dada. What Dada did for team India is sacrosanct, so stop the foolish comparisons. Running down MSD is inappropriate, if people are talking about respecting Rahul Dravid for his contribution, don’t you think MSD deserves the same, this guy won you the World Cup. Few Cricketing experts have written about his field placings and resource utilization skills. Well, if Steve waugh had taken off 1 slip and placed him in the mid wicket boundary, he would have conquered the final frontier. But, he didn’t because he believed Laxman or Dravid would nick one to the slips whereas they looted scores of runs through the mid wicket. So, there’s no point freaking out on MSD’s field placements. Criticism has gone to nonsensical levels, mostly it is unintelligent and plain stupid. Personally, I do not believe it is the end of the road for MSD, he will bounce back. I share Sachin’s sentiment – He’s the best Captain India ever had. Remember Cricket’s favorite One liner ‘ Form is temporary, Class is permanent‘. MSD shall rise again. 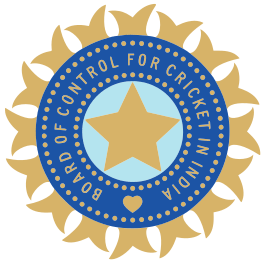 public opinion is fickle….and considering MSD was the only one who seemed to care abt making an effort and salvaging some pride for india, criticism is VERY unfair. hes a human being, not god…and he isnt infallible. this was the first test series hes lost as captain, he really deserves some slack.